Due to staffing constraints in support of female programming; we are only accepting applications from male applicants at this time. We sincerely apologize for the inconvenience and endeavor to reinstate programming upon completion of Warrior Village. For female Veterans, we encourage you to consider researching "Center Point Retreats". For female First Responders who are also Military Veterans, we encourage you to consider researching "Project Sanctuary". If you are a male Warrior and/or First Responder who is struggling with Post Traumatic Stress (PTS), or Traumatic Brain Injury (TBI), we are here to support and serve you. Service in Iraq or Afghanistan is NOT required. Service in ground combat is NOT a requirement. The only requirement is a desire to heal and a willingness to serve others still struggling with the effects of trauma. Experience shows that Save A Warrior works best if one is willing to do "the work" and commit to a daily practice that includes meditation and a life of service to others. Please know that Save A Warrior is a 24/7 alcohol and drug free program. If you struggle with alcohol or drug use, we STRONGLY encourage you to begin treatment immediately. If you wish to recover from Post Traumatic Stress, sobriety is absolutely critical. DO NOT FILL OUT AN APPLICATION FOR SOMEONE ELSE. THE WARRIOR MUST APPLY ON HIS OWN. THIS PROGRAM WILL NOT WORK UNLESS THE WARRIOR IS READY TO CHANGE HIS LIFE AND IS READY TO TAKE THE STEPS THAT ARE NECESSARY TO HEAL. 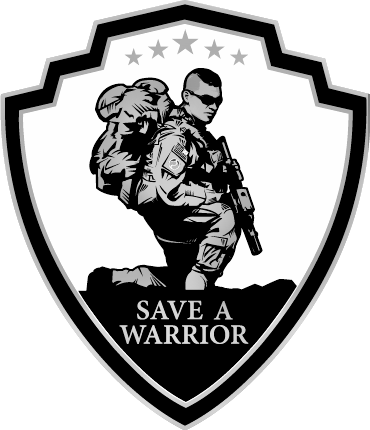 IF YOU ARE CONCERNED ABOUT A LOVED ONE AND WANT SOMEONE FROM SAVE A WARRIOR TO REACH OUT TO THEM, PLEASE LET US KNOW THROUGH OUR CONTACT PAGE. DO NOT SUBMIT AN APPLICATION UNLESS YOU ARE READY AND WILLING TO CHANGE YOUR LIFE. EXPERIENCE SHOWS THAT YOU CAN ONLY HEAL FROM POST TRAUMATIC STRESS WHEN YOU ARE WILLING TO DO "THE WORK", WHICH MEANS ENGAGING IN A DAILY PRACTICE OF MEDITATION, HAVING A DESIRE TO BE EMOTIONALLY SOBER, AND LIVING A LIFE WHERE YOU FOCUS ON SERVING OTHERS. SCIENTIFIC RESEARCH HAS PROVEN THAT MEDITATION CAN HEAL YOUR BRAIN, WHILE ALCOHOL AND DRUG ABUSE PREVENT HEALING. WE RECEIVE APPLICATIONS FROM FAR MORE WARRIORS THAN WE HAVE THE CAPACITY TO SERVE, SO IF YOU WANT TO GET YOUR LIFE BACK AND ATTEND THIS PROGRAM, BEGIN TAKING STEPS IMMEDIATELY TO BECOME SOBER IMMEDIATELY. AS FELLOW WARRIORS WHO HAVE STRUGGLED TO CONFRONT AND OVERCOME THESE CHALLENGES, WE ARE SHARING FROM OUR OWN COLLECTIVE EXPERIENCES. These are some really good folks to talk to. They are Warriors, like you. They understand and they've been there. Call or click the image for Vets4Warriors.